In fact, this movie concerns itself quite a bit more with Broly, his story, and the friends and foes he meets along the way than it does with franchise star Goku/Kakarot. Even Vegeta gets a bit more backstory than his lifelong rival in this one. This all makes sense considering that Goku’s story is legend now and, with the exception of possibly becoming a God of Destruction or some other deity, he’s gone about as far as he can go storywise. 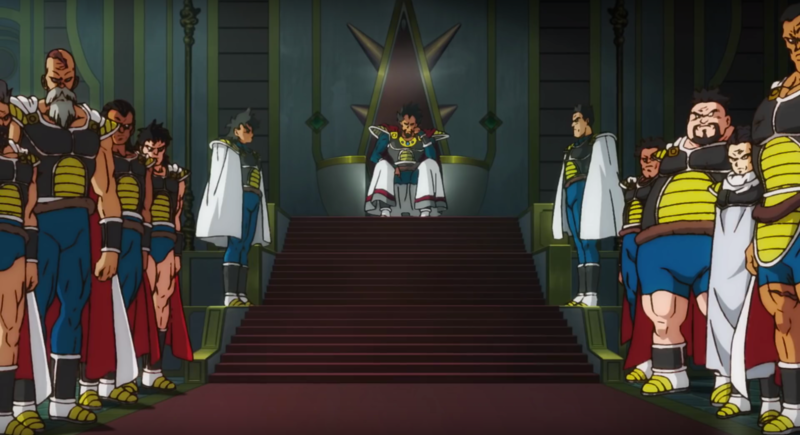 Could Broly and his pals take over where Goku and his friends eventually leave off? Perhaps, but let’s not get ahead of ourselves. There’s still plenty of fight in Goku, Vegeta, and company, and all of their fighting spirit is on display in Dragon Ball Super: Broly, which acts as more of a drawn-out third act than a traditionally structured movie thanks to a year of plot build-up. That makes the movie a great event for long-time fans, though a bit of a confusing hodgepodge of punches, kicks, energy blasts and so much screaming for more casual viewers. Perhaps surprisingly, Dragon Ball Super: Broly opts to keep its core cast of franchise characters off the screen for almost an hour. Roughly the first half of this movie is dedicated to the title character, his protective father, and the feud between him and King Vegeta (ie, Prince Vegeta’s father and ruler of Planet Vegeta … yeah). That conflict is what drives the rest of the movie, which is essentially one big battle among a trio of Saiyans with a little questing for Dragon Balls (and Frieza being sassy) thrown in for good measure. It’s thin as far as motivation goes, but we get a slightly more robust reason for Broly to go ape against Goku and Vegeta than we did in his introductory movie back in 1993. The second half of the movie is all-out action, so be sure to save your energy for this one because it’s a long bout of back-and-forth blows raining down from all sides. So let’s focus on the good stuff here: The lore, for starters. Broly is canon and now, so is his sorta retconned origin story. Other fan-favorite characters are now canon as well, but we’ll leave their identities out of this review since they make for fantastic surprise arrivals (as long as you’ve avoided all of the spoilery marketing material; man, it would have been cool to see some of these characters show up without expecting it). Broly himself gets a more fully rounded backstory that allows him to quite literally stand on his own against the best that the franchise has to offer. (We even get some interesting Broly fashion lore that I was not expecting.) Fans will get to see their favorite characters in all new ways, though you’ll have to keep your eyes peeled to make sure you spot them all, especially in the flashback sequences. The animation here is top notch as the movie opts for a more traditional style that harkens back to classic Dragon Ball movies and the original manga; it also gives the characters a sense of gravity, even when they’re defying it, though at times it makes the characters a bit too perfect. And once the fight ramps up about halfway through the film, the battles takes our favorite characters through just about every power level, hairstyle, and transformation you can think of in the Dragon Ball universe, save a couple. It’s fantastic fun. Aside from some questionable musical choices in this movie, there’s little to gripe about here. But here’s the downside: Dragon Ball Super: Broly spends so much time focusing on the fight itself that the run-up to it is slightly rushed and lacks real motivation that you can sink your teeth into. The movie leans heavily on the belief that only super-fans are coming out to see this main event; that’s fine, but that decision is going to leave the more casual audience members scratching their heads and wondering what the have just witnessed. 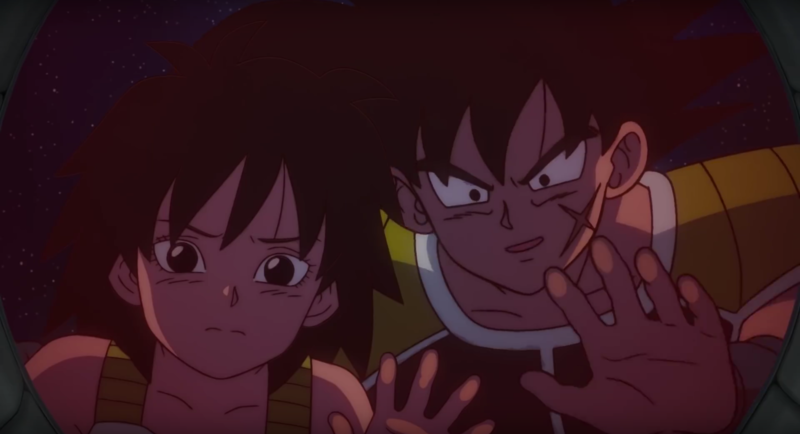 What they’ve seen, of course, is the culmination of the Dragon Ball franchise story so far, at once an homage to Toriyama’s most iconic moments and characters while also ushering in new personalities and teasing adventures yet to come. It’s a knock-down, drag-out battle between the series’ biggest brawlers, and it’s a real spectacle to behold. You’ll need a senzu bean after this one.